Brochure Printing... shipped free within the contiguous U.S.
Brochure printing usually takes 4-5 business days (this is just a general guideline) but rush orders are sometimes available. This does NOT factor in your file preparation time or shipping times all of which can vary dramatically. Please call for a more complete turnaround estimate at 1-888-587-2383 ext 1. A: Yes!! 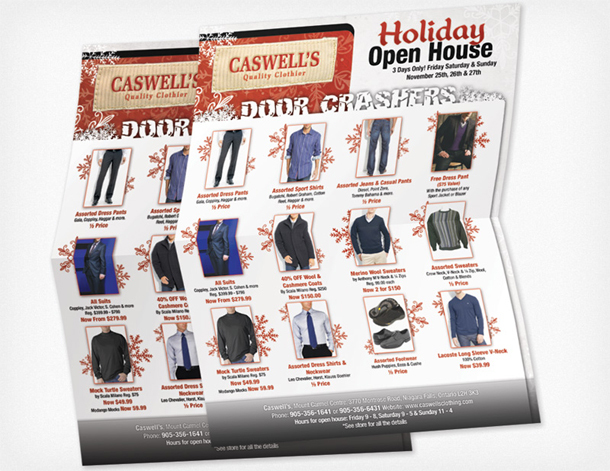 We can design your Brochure for a flat fee of just $149. Read more. 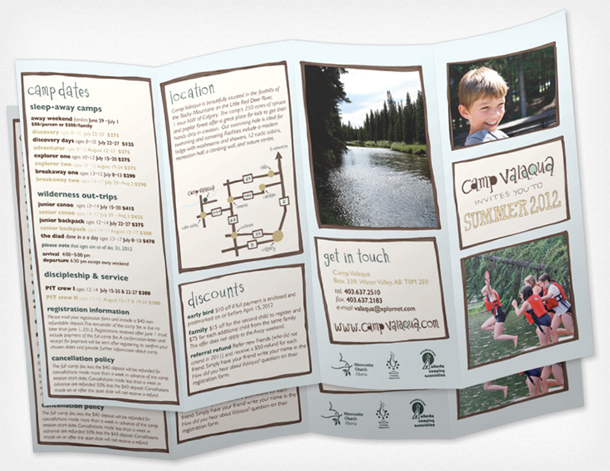 We Can Design Your Brochure for $149! 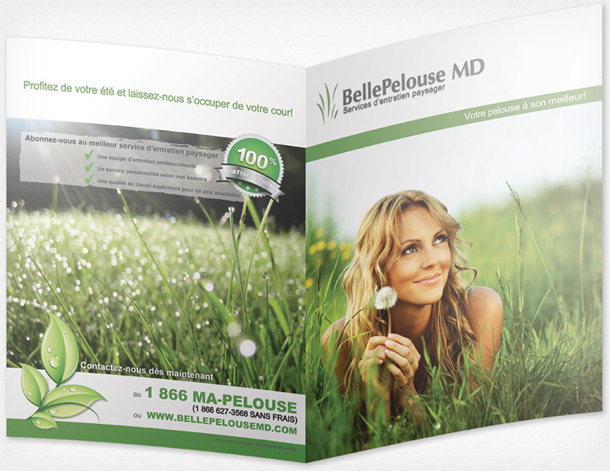 We offer design for Brochure at a low flat-rate cost! This includes your first draft design plus up to 4 revisions for 5 total versions - usually this is more than enough 95% of the time. Extra rounds of revisions will cost $10 each. I am not sure what Fold I need, can you help? 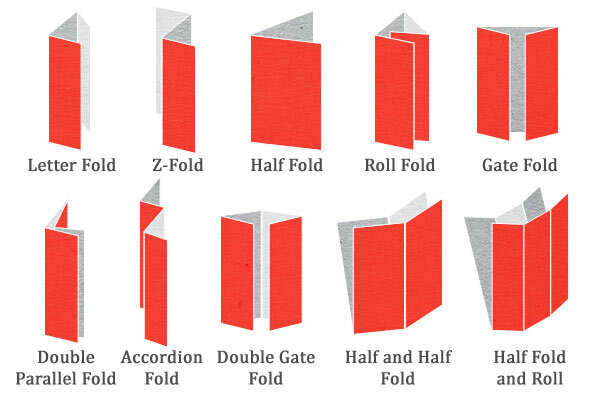 Yes, we have fold diagrams here so you can make an educated choice on your folding. Each fold option also includes a folded size so you can visualize it a bit better. What Thickness are your Brochures? The paper we use for our brochures is called called text stock. 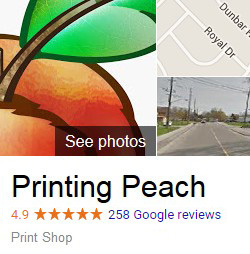 We print either 70 pound text(uncoated) or 100 pound text(glossy) flyers. This can be confusing because there are a lot of measurements that use pound such as bond paper, cover stock and index stock. The best frame of reference is that 20 lb bond (your typical office paper) is equivalent to about 50 lb text. So our 100 lb brochures are about twice as thick and out 70 lb flyers are close to 1.5 times as thick. 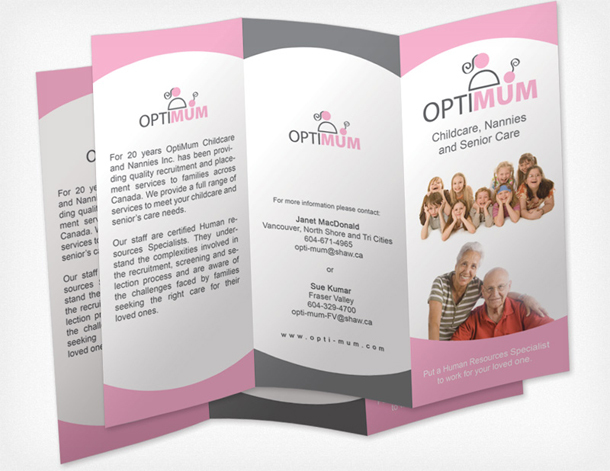 AQ Gloss is a semi-gloss coating and is the industry standard for brochures. If you've seen a glossy flyer or brochure before, chances are it was AQ Gloss. Most of the time, AQ gloss products can be written on with a ballpoint pen but results tend to vary a bit. Why are 70 lb Uncoated Brochures More Expensive? There are many reasons that our 70 lb uncoated is a bit more expensive than the 100 lb glossy, but the main is that they are less common. Our printing works based on demand and the more orders we get for an item means the lower price we can offer..